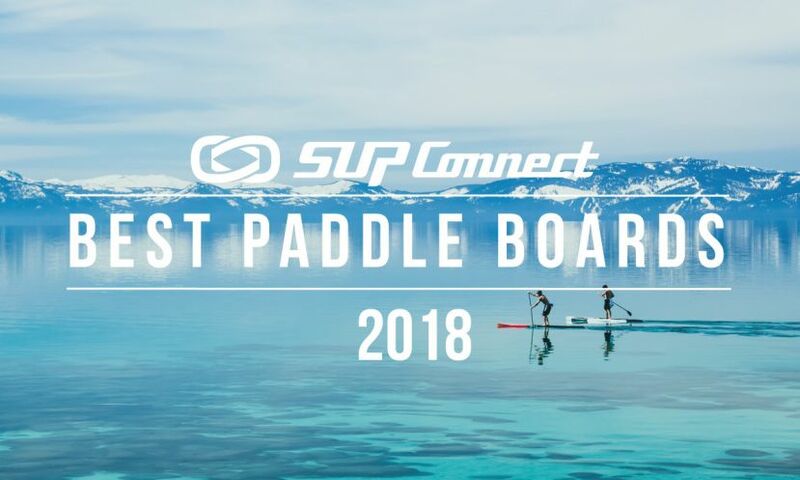 About the board:If you’re on the market for a group SUP that gears towards surfing, check out the Crusader from Body Glove. The Crusader can fit up to 6 people (1,0000 lbs) and is clearly a very stable board due to its 66 in. width. The board is very difficult to carry alone due to its size but with a few people able to chip in carrying is easy. Retailed at $1,999 the Crusader is an excellent choice for a surf-specific group SUP. Read more HERE. Weight: 22.12 lbs Sizes: 8'6", 9'0, 9'6"
About the board: The Naish Hokua is a great all around surfboard. It has a flatter tail than the Mad Dog model, allowing for much flatter sections, allowing for more speed. You can pump through so if you live in a place where the surf is fairly soft this is the board you want to have. It drives lots of speed, it is fairly stable, and it looks stunning as well. The Hokua is fairly lightweight for that type of board with its strong construction that it comes with. It’s a phenomenal board if you live in Southern California, or in a place with a bit softer surf wherever you are but is a great all around board that can also pump a bit more aggressively in faster surf. Defintiely deserving of an A-Grade. Read more HERE. Weight: 16.12 lbs Sizes: 7'10", 8'1", 8'6", 8'11"
About the board: The Naish Mad Dog really comes alive when you have some punchy surf. It works quite well off the tail and is fairy stable to paddle for a board this size. It feels really good under the feet and is super easy to carry. If you live in a place where you have really nice punchy surf, quite a bit of either wind swell or hollow surf that you want to work your way through, this board is the perfect fit. But, if you live in a place where the surf is fairly flat or soft you might want to look for a board with less rocker on the tail so that you can grab more speed and pump more easily through the flat sections . But if hollow is what you are dealing with, or steeper waves, this is a great option. It has nice rocker both on the nose and on the tail and the graphics are beautiful overall. A great surfboard. Read more HERE. Weight: 24.04 lbs Sizes: 10'6", 10'10",11',11'4"
About the board: The Naish Nalu is an excellent beginner surfboard that can also be used as an all around board. It’s very stable and the flatter rocker drives lots of speed in smaller softer surf. You can also use in the flat water with your family. 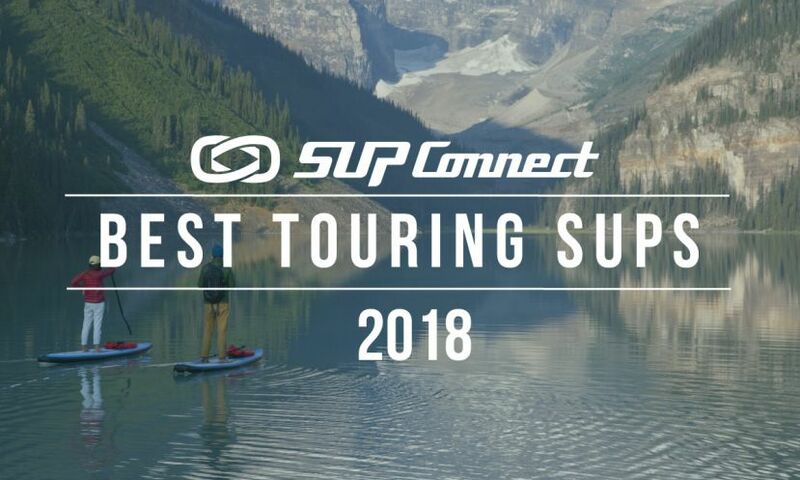 If you are a beginner SUP surfer, or are trying to get into SUP surfing, and you still want a board where you can use it on other occasions with family and friends on flat water this is an outstanding choice. There is a beautiful coordination of graphics. The gradient from yellow to green on this board is stunning. If you put the Naish fins on it, which has yellow stripes with some black to it, the board just comes together as a beautiful package. 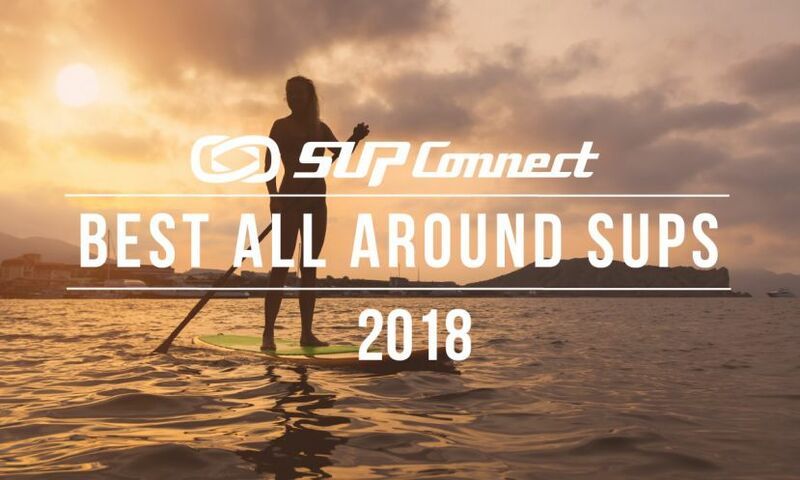 So, the Nalu is a great choice for someone who is a beginner SUP surfer or someone who is looking to get into SUP surfing, who also wants an all around board. Read more HERE. 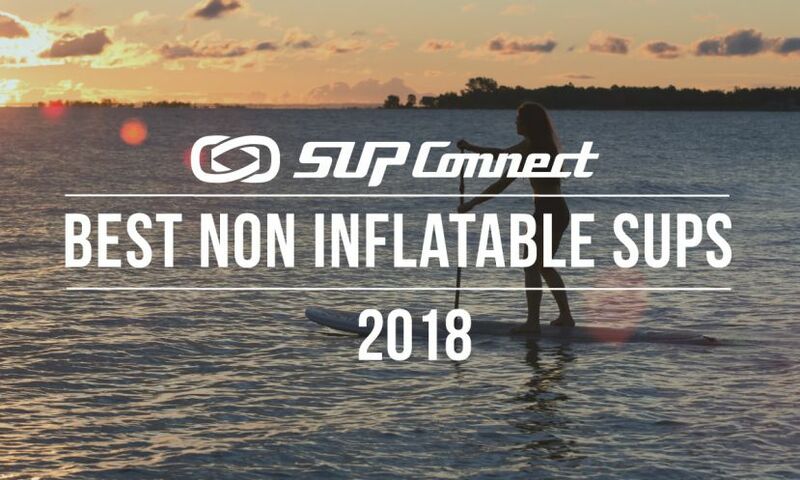 Weight: 29.1 lbs Sizes: 10'6"
Who is this for: If you’re looking for a stable, inflatable, paddle board geared towards surfing and touring then the Hala Playa is worth a look. This stand up paddle (SUP) board comes in the Fiberglass Hybrid Inflatable construction which is durable and has its ups and downs. Due to is 30 inch width, the board is fairly stable and it has 2.77 lbs per foot weighing 29.1 lbs total, making the board moderately heavy for its size. Its shape makes the Playa a hybrid between a surf and a touring board that can be used by intermediate paddlers and was designed for recreation. Its construction and shape combined best fit this board for mid-range distance paddling between 3-5 miles. Retailing at $1,379, the board is among the popular mid-tier market in terms of affordability. 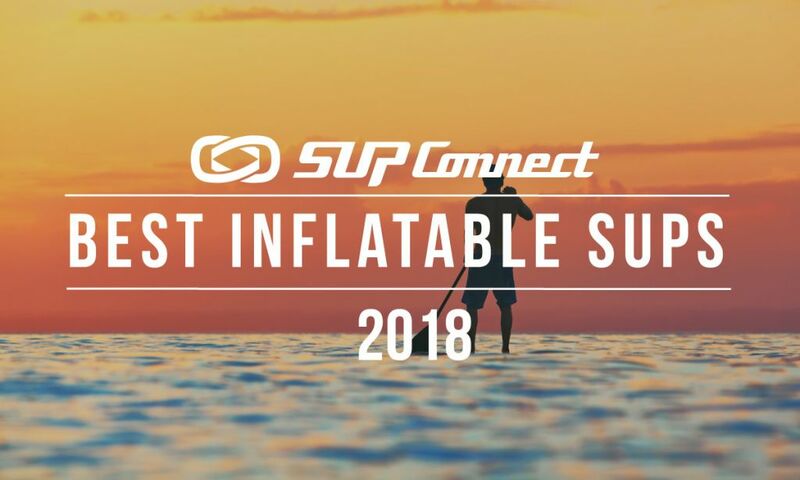 Weight: 17.1 lbs Sizes: 8'10"
Who is this for: If you’re looking for a stable, inflatable, surf board to paddle short distances then the Red Paddle Co. Whip is worth a look. This stand up paddle (SUP) board comes in the MSL construction which is very durable and has its ups and downs. Due to its 29 inch width the board is somewhat stable and has 1.94 lbs per foot weighing 17.1 lbs total, making this board very lightweight. Its shape makes the Whip great for surfing either in the ocean or on the river that can be used by surf and river enthusiasts with an intermediate skill-set. Its construction and shape combined best fit this board for recreational paddling of short distances. Retailing at $1,199, the Whip is in the popular mid-tier market in terms of affordability. Weight: 28.05 lbs Sizes: 7'4", 8'4", 8'10", 9'4", 9'10"
Who is this for: If you are looking for a stable, non-inflatable board to paddle and surf on then the Boardworks Special is worth a look. This stand up paddle (SUP) board comes in the Krypto-flex construction which is relatively fragile having both ups and downs. Due to its width of 30 inches, the Special is moderately stable. The board has an average weight of 2.86 lbs per foot weighing 28.05 lbs in total. Its shape makes the Special a surf-specific board that is designed to be used primarily for surfing. Its construction and shape combined best fit this board for paddling out to the lineup and ripping in small to sizeable surf. Retailing at $1,249, the Special is in the popular mid-tier market in terms of affordability.